Mizuki: So they sent me to get food from the king to keep us alive until next year's harvest. Lodu: You know I found the map, like, five minutes ago, right? Mizuki: Oh, you did? Well, let's take a look. 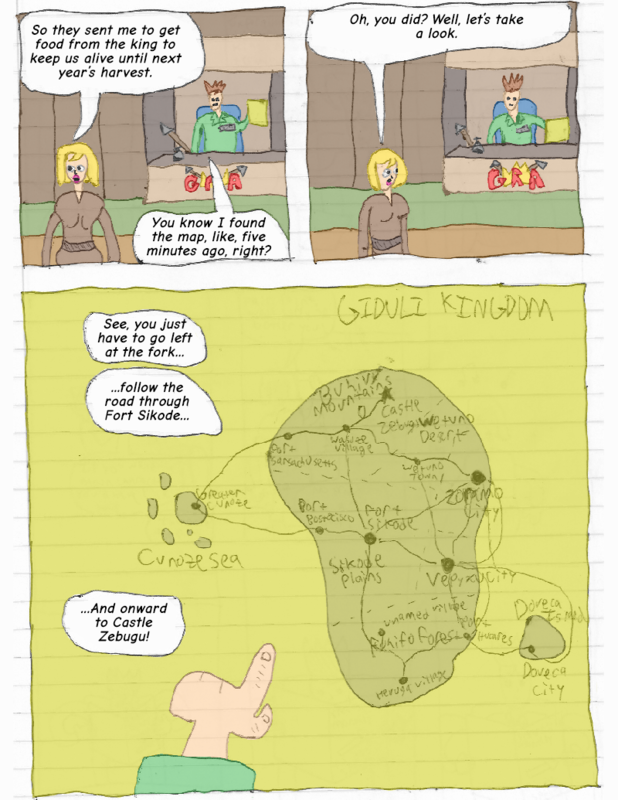 Lodu: See, you just have to go left at the fork... follow the road through Fort Sikode... and onward to Castle Zebugu! Maps are fun and cool. Especially when you design the world using them!